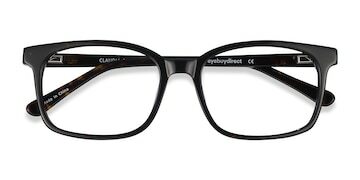 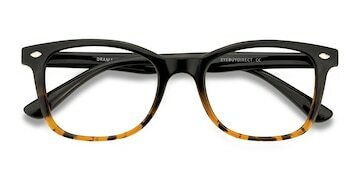 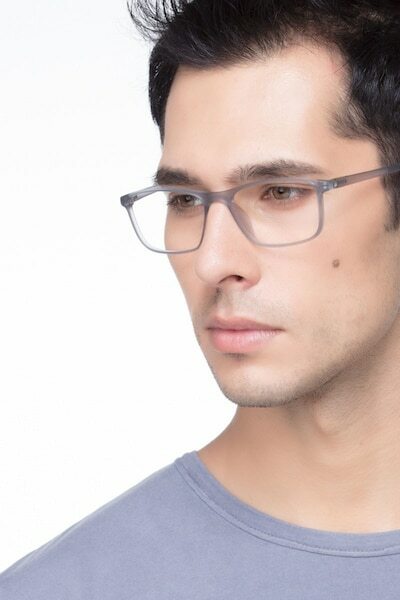 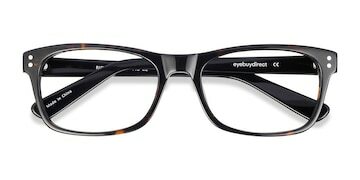 These full-rim eyeglasses are trendy and can be worn by anyone, perfect for a professional look. 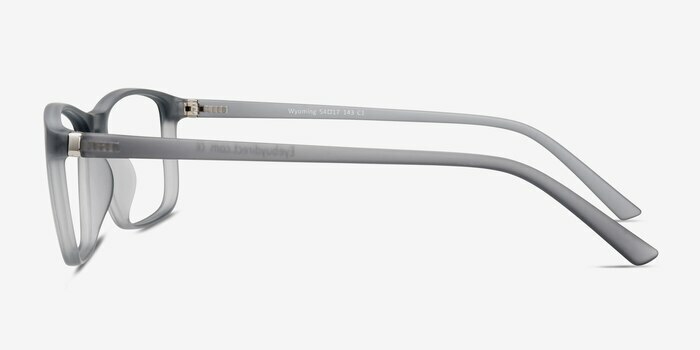 The wayfarer lenses have a modern design with a lightweight frame in a semi see-through material. 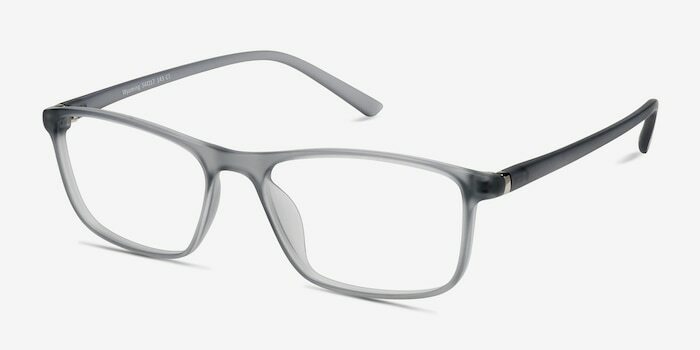 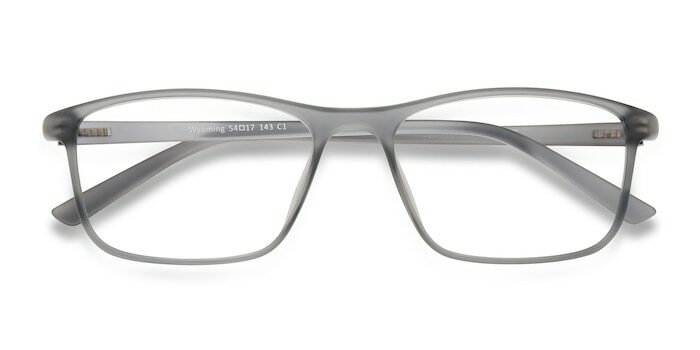 The temples are slender in dark matte gray that shifts to a lighter shade of gray at the frame. 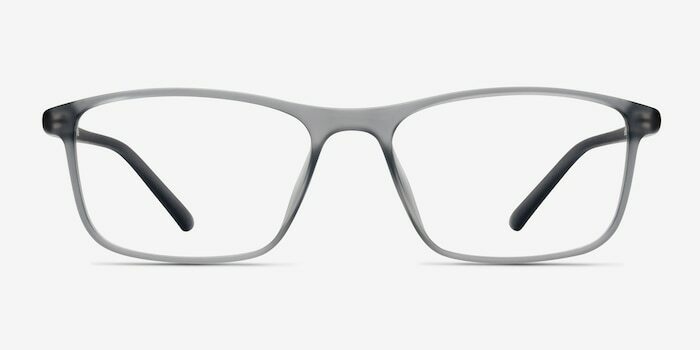 The inside of the bridge has an elegant minimal curve and the hinges have a subtle metal accent.